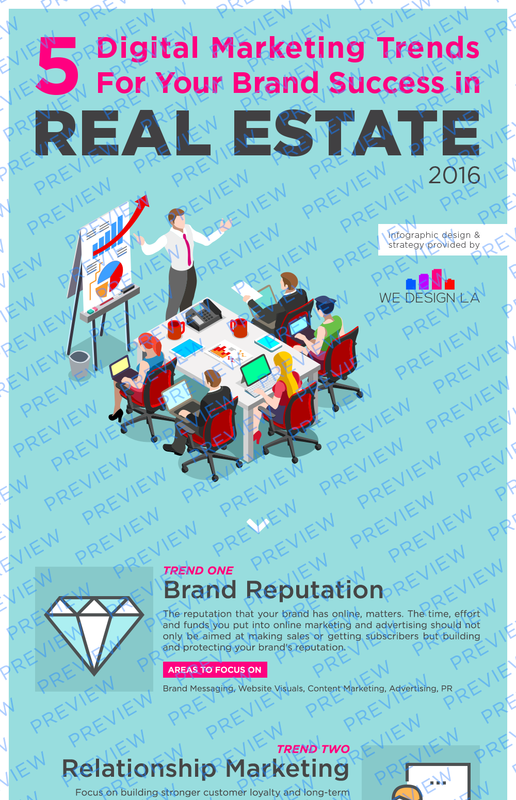 2016 is going to be a big year for Real Estate brokerages, both in the commercial and residential sector. The market has been on a slow build and more and more consumers are looking to buy their first property, sell their current or look for an investment property. But how do you stand out from all of the other competitors, especially local to us here in Los Angeles where you could potentially have 1000’s of competitors? Sure you can pay to get featured on Zillow listings and have your face on every park bench, but if you are just doing that and relaying on random referrals to come in, you aren’t going to see the growth you are wanting AND your competitors are going to get an edge on you. It’s 2016! No more excuses for any professional service company from any industry not to spend some time and money investment on their branding and position in the market. Not sure where to start? We don’t blame you. There are a lot of options, many of them just flavor of the months that don’t really result in more leads and deals. Because of that, We Design LA and our experienced team has created a Free Expert Guide that reveals the easiest way to build your Real Estate brand, leads, and sales in 2016 with these 5 Digital Marketing Strategies that are not only trending now (but working!). We Design LA is a leader in the digital services industry and has lead 1000’s of companies to success with these techniques and we know they can help you. And if you need more help or details, go to our Start page and see how we can help!